Passages to the Past: Robert Lyndon Double Giveaway: Win a copy of Hawk's Quest and Imperial Fire! Robert Lyndon Double Giveaway: Win a copy of Hawk's Quest and Imperial Fire! Thanks to the generous people at Hachette Book Group Passages to the Past has a very exciting giveaway for you! 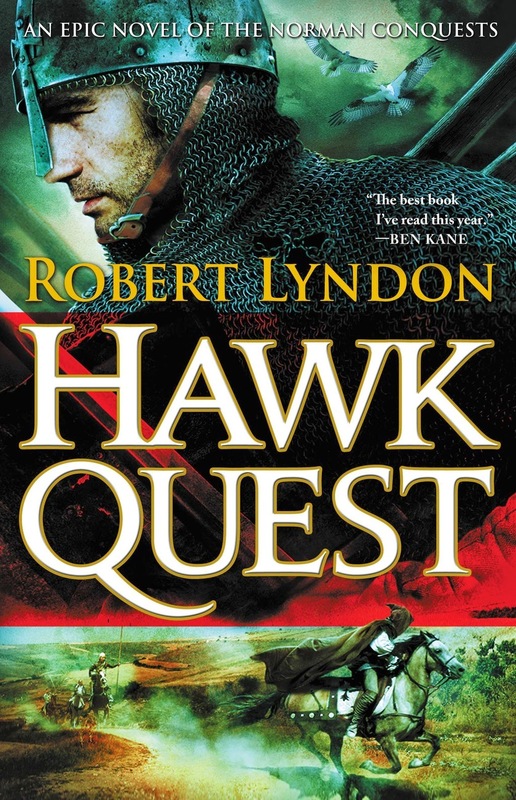 One lucky reader will win a copy of Robert Lyndon's Hawk Quest and the sequel, Imperial Fire! The Normans have captured England. The Turks have captured a Norman knight. And in order to free him, a soldier named Vallon must capture four rare hawks. On a heart-stopping journey to the far ends of the earth, braving Arctic seas, Viking warlords, and the blood-drenched battlefields, Vallon and his comrades must track down their quarry one by one in a relentless race against time. The scale is huge. The journey is incredible. The history is real. This is Hawk Quest. AN EPIC HISTORICAL QUEST SET AT THE DAWN OF THE AGE OF GUNPOWDER. In the world after 1066, vast empires clamor for dominance. From the Normans in the north to the Byzantines in the south, battles rage across Europe and around its fringes. But in the east, an empire still mightier stirs, wielding a weapon to rule the world: gunpowder. 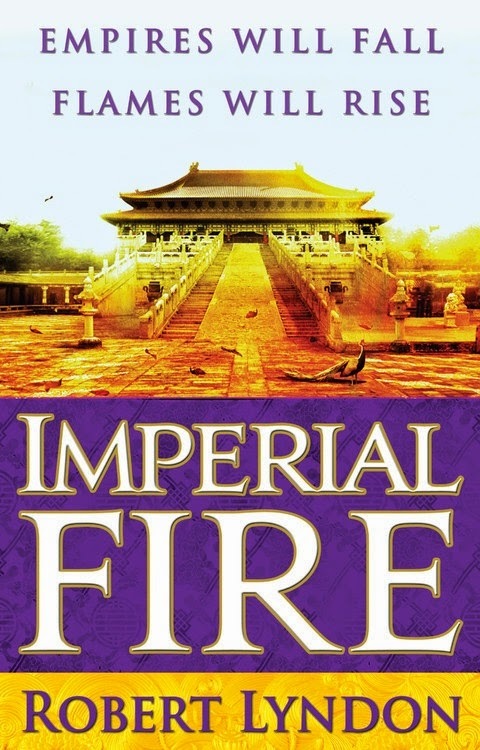 Seeking the destructive might of this 'fire drug,' the mercenary Vallon -- a man made of grit and earth as much as of flesh and blood -- is sent by the defeated Byzantine emperor on a secret and near-impossible quest to the far off land of Song Dynasty China. Alongside a squadron of highly trained soldiers, Vallon is accompanied by the learned physician Hero, hermit-like tracker Wayland and a young, ego-driven upstart named Lucas. All have their own reasons for going, all have secrets. It's a quest that will lead them across treacherous seas and arid desserts and into an uncharted land of mountains and plains beyond the Silk Road. Many will die...but the rewards could be extraordinary. Robert Lyndon has long been a keen student of history. Lyndon's novels are inspired by his own experiences as a falconer, climber and traveller in remote places. 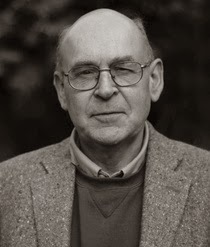 He has written many books and articles on history and exploration. A Fellow of the Royal Geographical Society, he lives in Dorset. To win a copy of Hawk Quest and Imperial Fire please complete form below. Giveaway is open to US/Canada only and ends on April 13th. We love Cornwell's books and these two sound just as exciting! Read the beginning of Hawk Quest. Would love to win a copy. This is a new author for me. I love falconry and have added both books to my TBR list. These both look like excellent books and, given the author's credentials, I'm sure the details are very accurate as well. Thanks for the chance to win the pair. Both books sound so good. I would love to read them. Thanks for having this giveaway. Love a good series. Thanks for the giveaway. I would love to read Hawk Quest. I read a sample (somewhere) and was very taken with the writing. Are you going to be doing a tour for this one, Amy? This series sounds great. Thanks for the opportunity to win these books.